Welcome to 1 East Gordon! Enter your unique access code for a keyless entry. 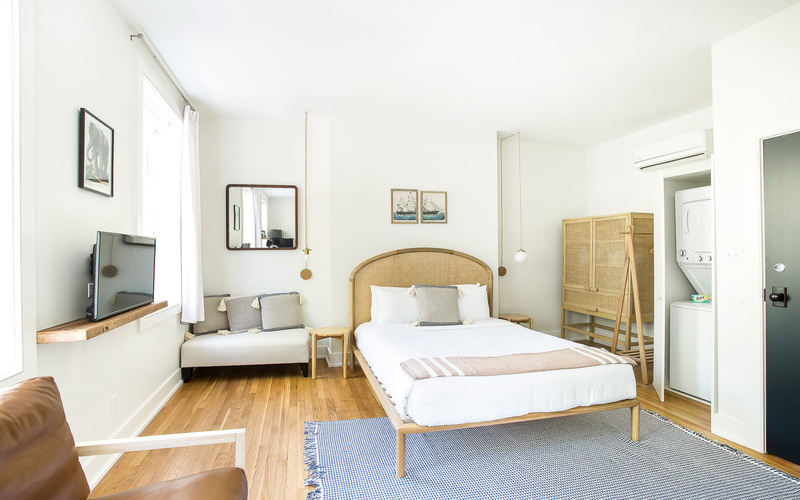 Walk into your luxury studio apartment. 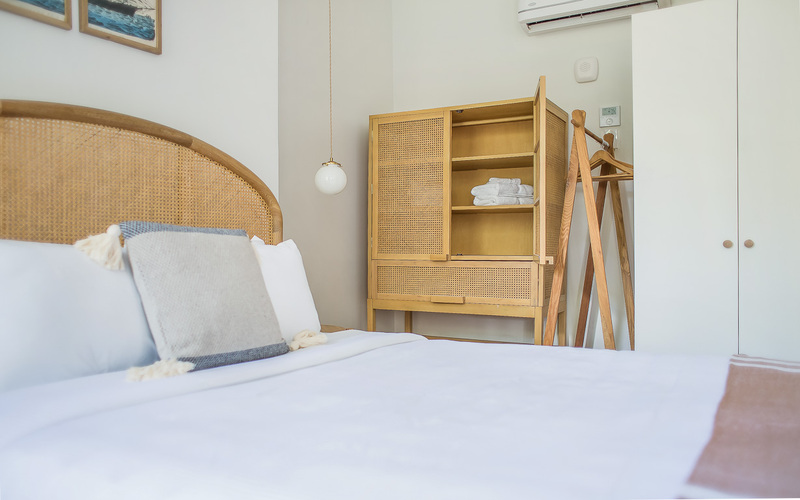 Unpack your suitcase and store belongings in the standing wardrobe. Never feel cramped with plenty of floor place and tall ceilings. 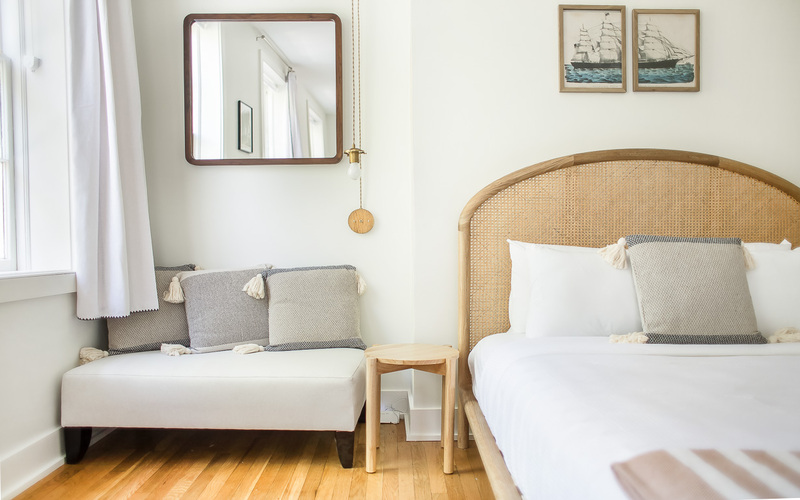 End your day in the Queen bed, dressed with plush linens. Catch a movie or favorite TV show from bed. It's all in the details. 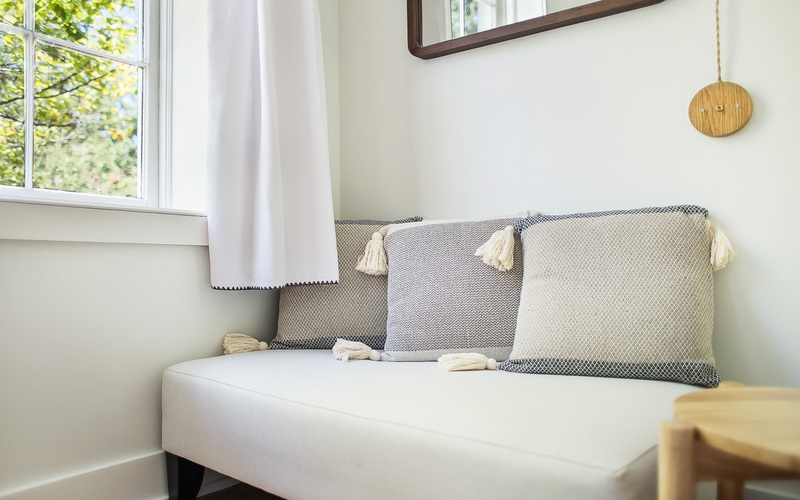 Dive into a good book in this window nook. 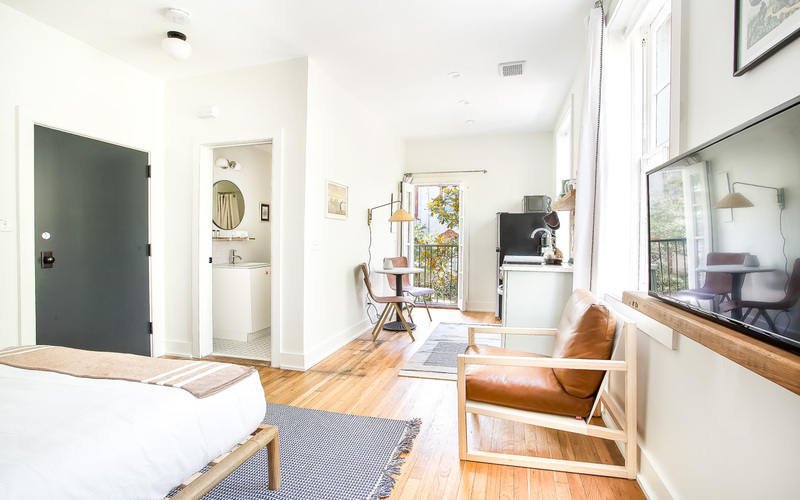 This studio boasts beautiful views of historic downtown. 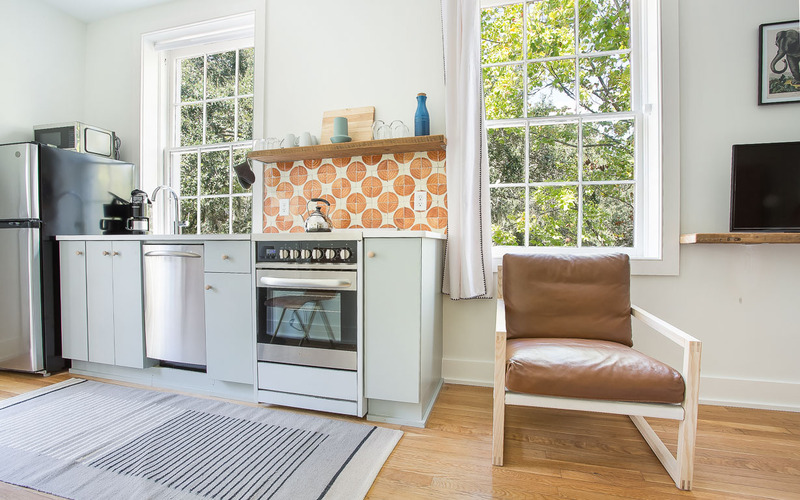 The bedroom leads to the full size kitchen. This open concept keeps the apartment bright and spacious. 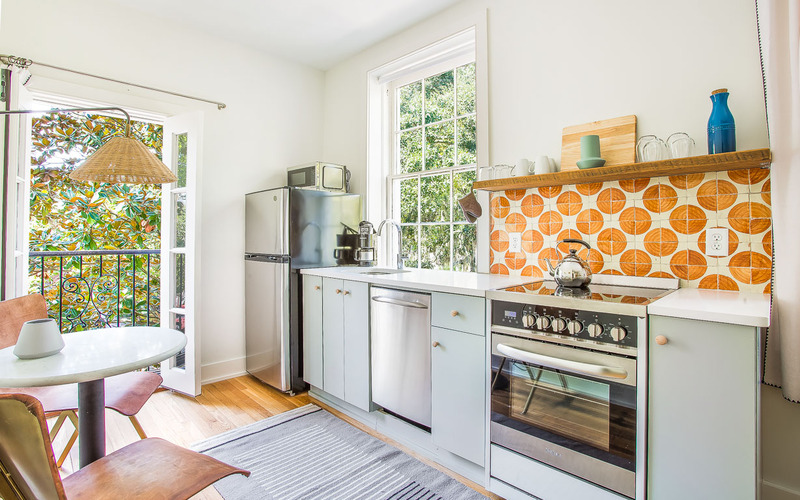 Expect a full size fridge, stainless steel appliances, and plenty of dishes. 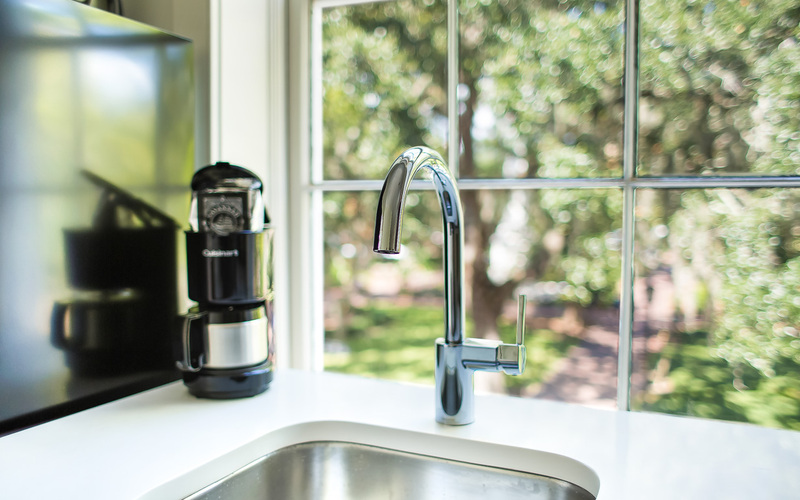 A compact coffee maker and packet of local grounds are provided. 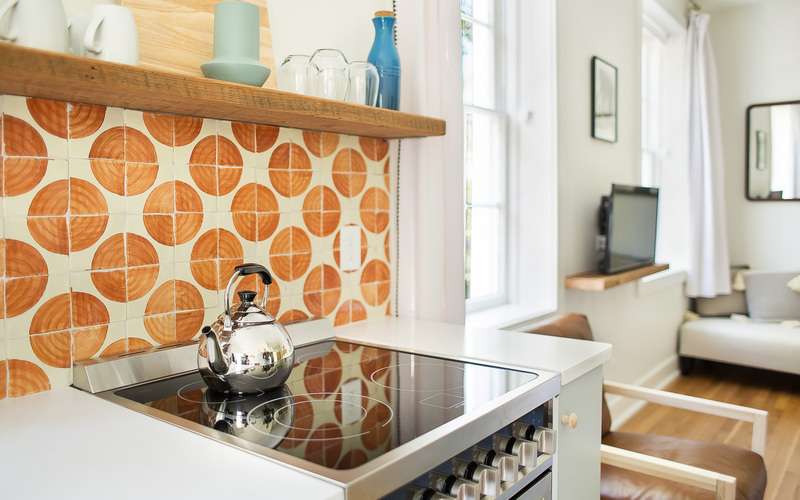 Hand painted ceramic tiles make for the perfect backsplash. 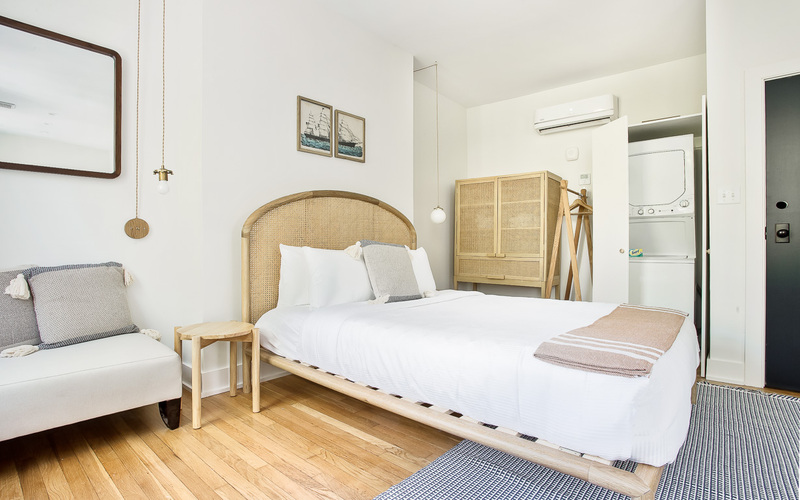 Pull up a chair to watch TV out of bed. 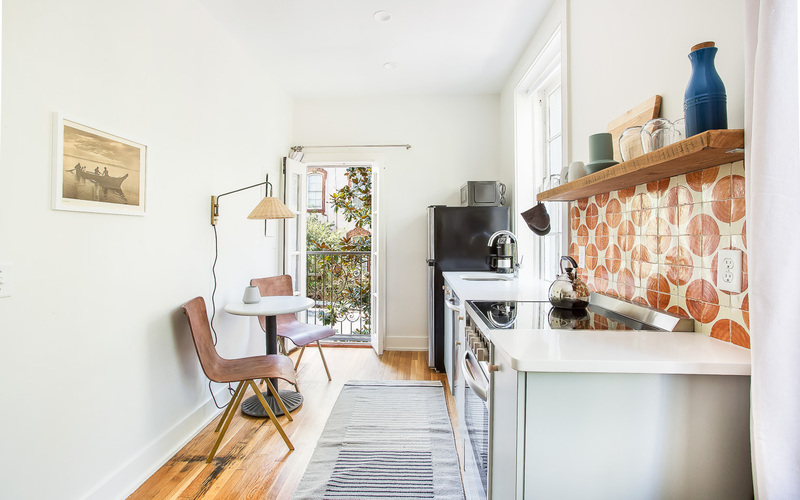 The full kitchen is adjacent to an eating nook for two. 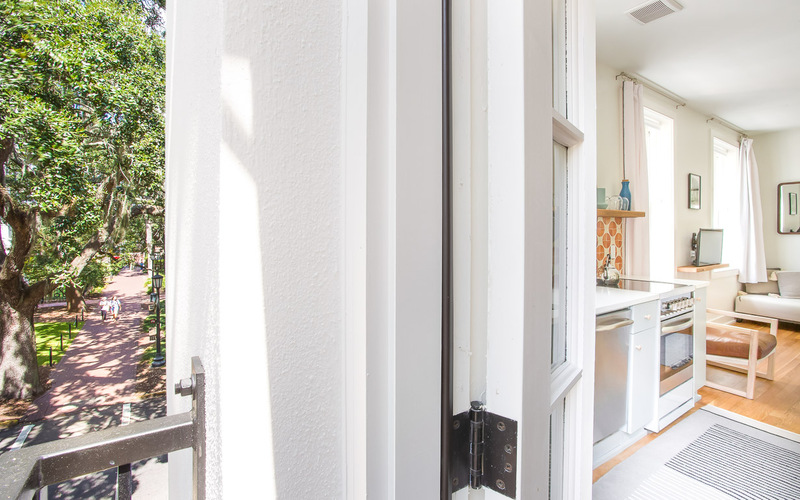 Enjoy a morning cup of coffee with the balcony doors open. The perfect spot to perch. View from the private balcony. 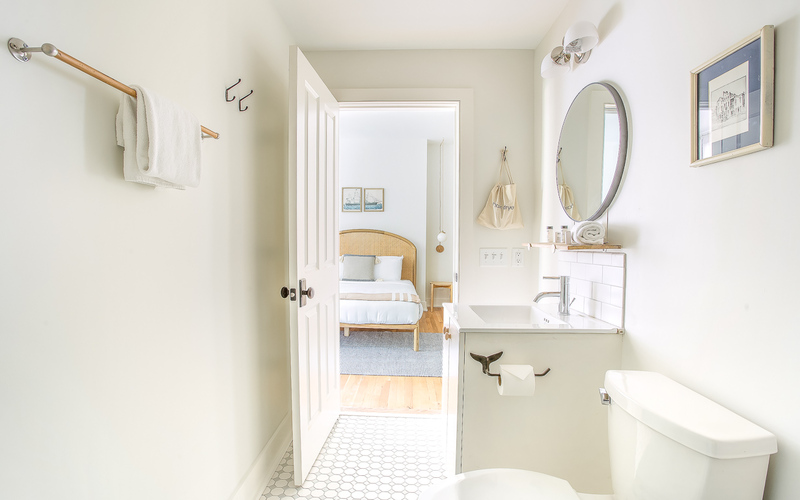 The full bath is adjacent to the bedroom. 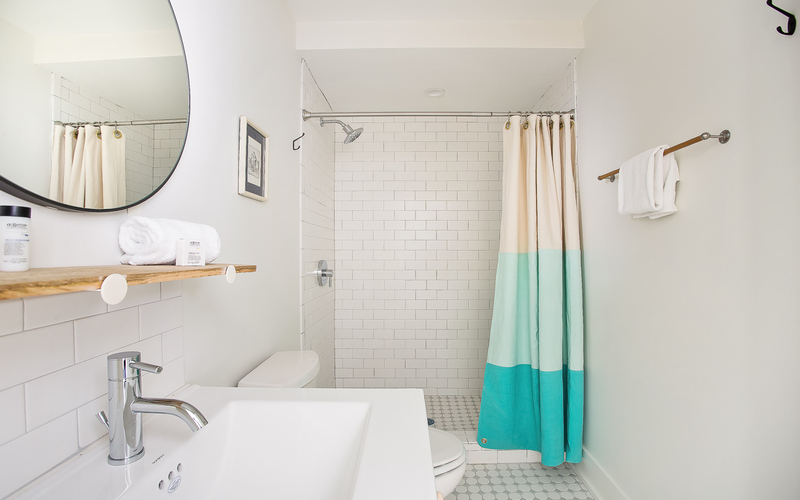 The bath features a standing shower with subway tile and caddy. Towels, soap, and a hair dryer are provided. This apartment is on the second level from the main entry. 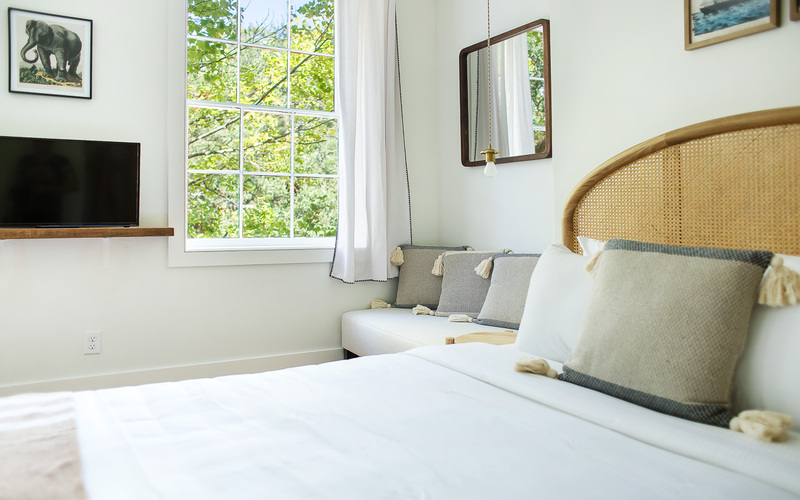 Stay in a beautiful part of downtown. Head off on foot and explore the city. 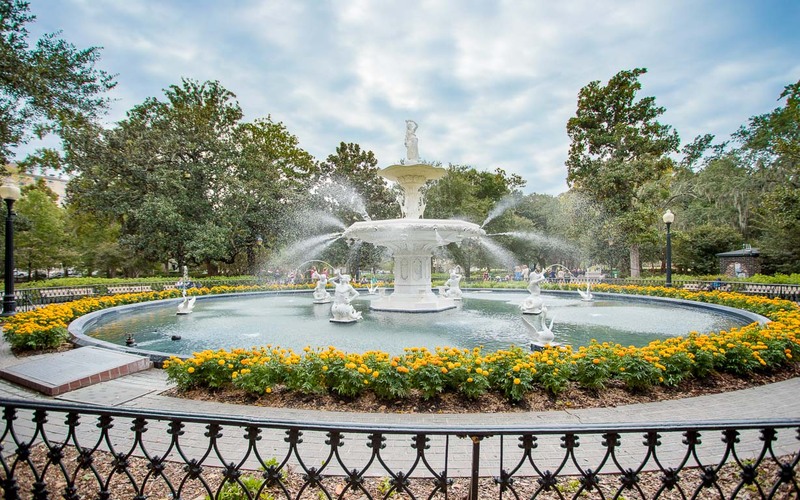 The famous Fountain at Forsyth Park is just one block South. 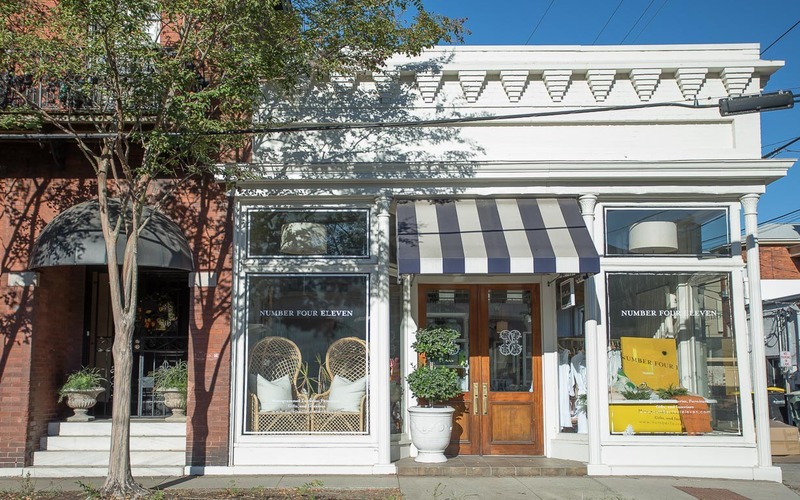 Plenty of shops in the Downtown Design District close by. 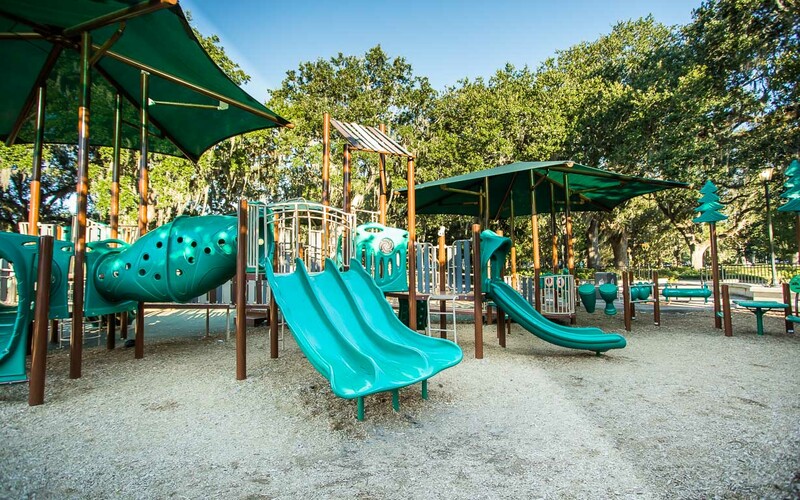 Forsyth Park has a fantastic playground for young families. 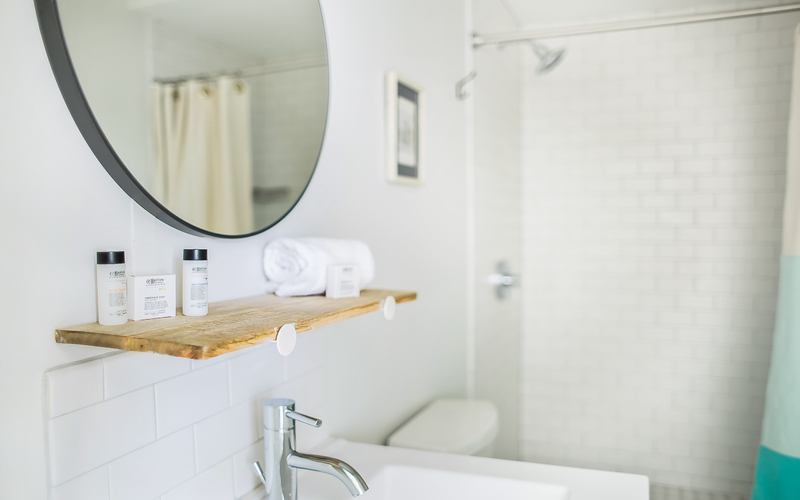 Enter your individual access code for a keyless entry to your studio apartment. 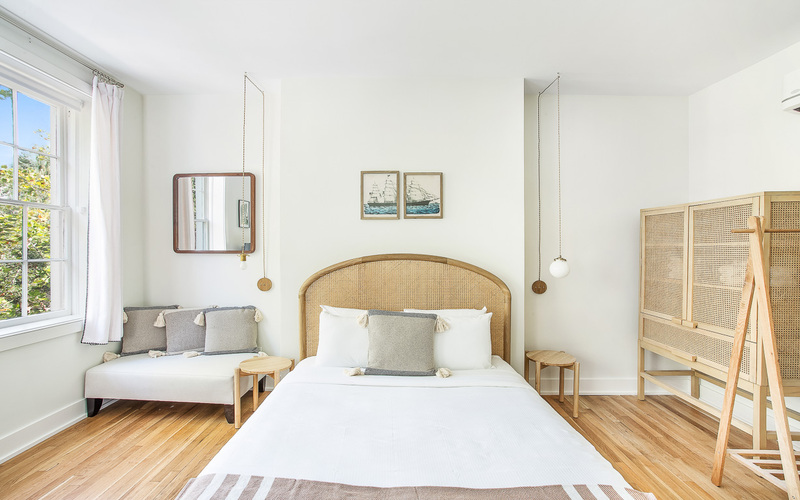 Furnished tastefully with solid wood frames and rich textiles, The Park House is ideal for the distinguished traveler. 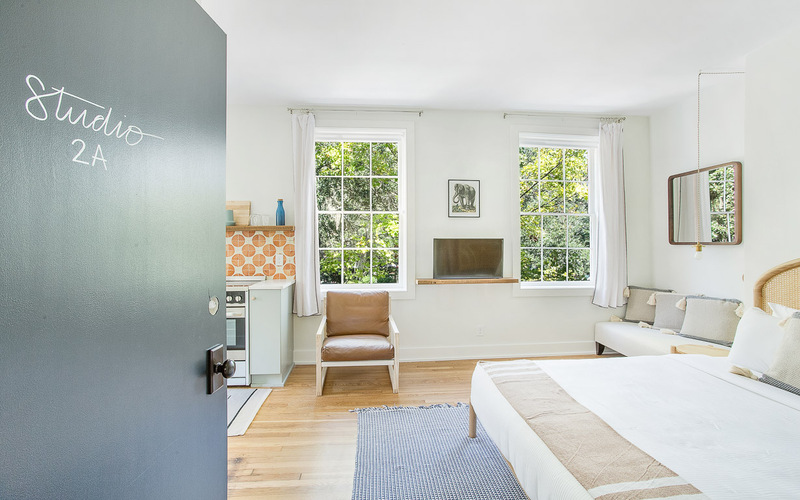 The bedroom features a Queen size bed, with built-in reading nook closest to the window. 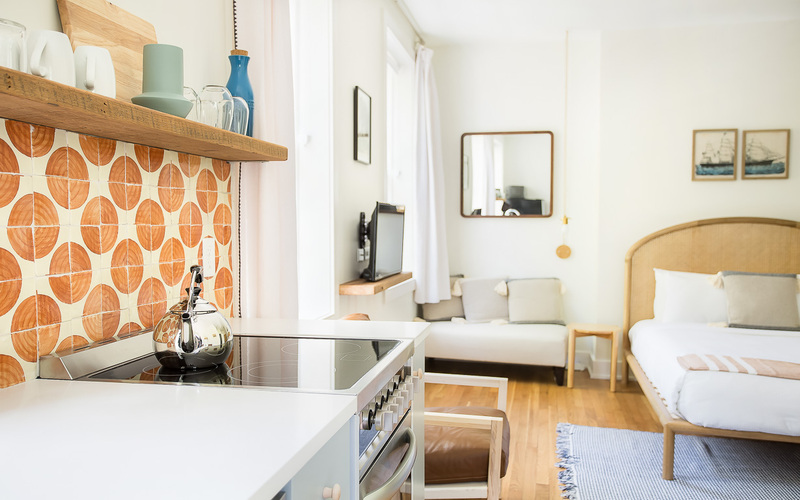 Extended stays are a breeze with a standing wardrobe and adjacent washer and dryer. The full bath with standing shower is opposite the bedroom, boasting handmade ceramic tiles and plenty of storage space. 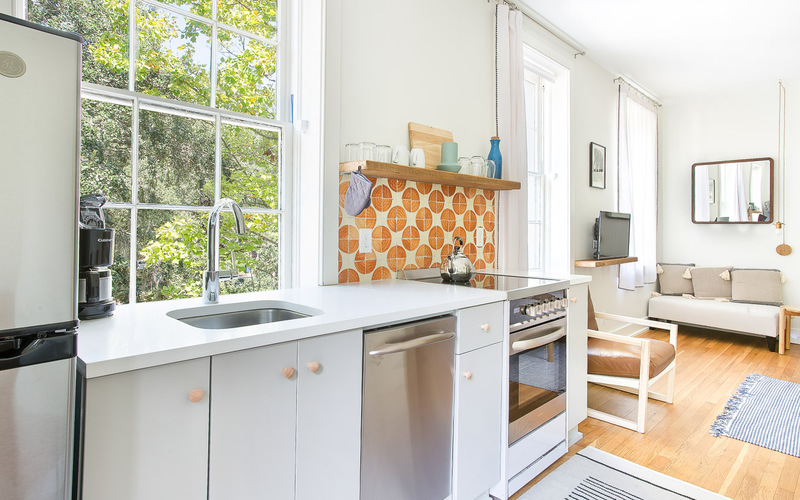 Around the corner, a galley style kitchen with stainless steel appliances, glass top range, and dishwasher. 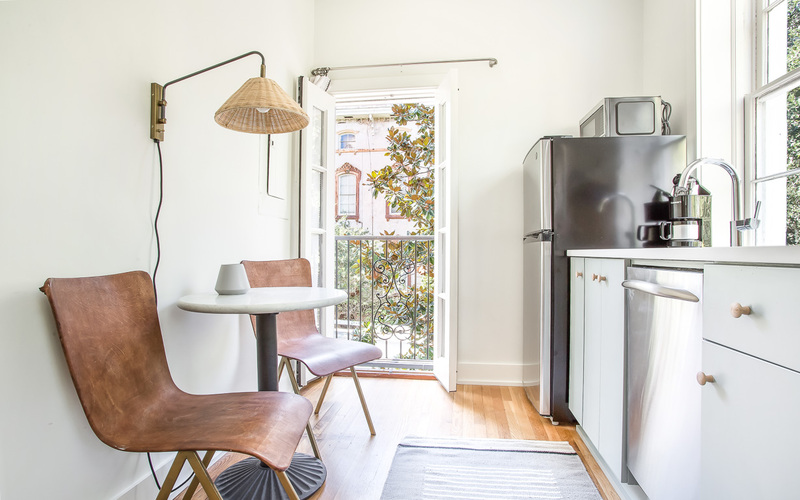 Fully equipped to cook a meal, guests can opt for a quick snack or cup of coffee before exploring the city. 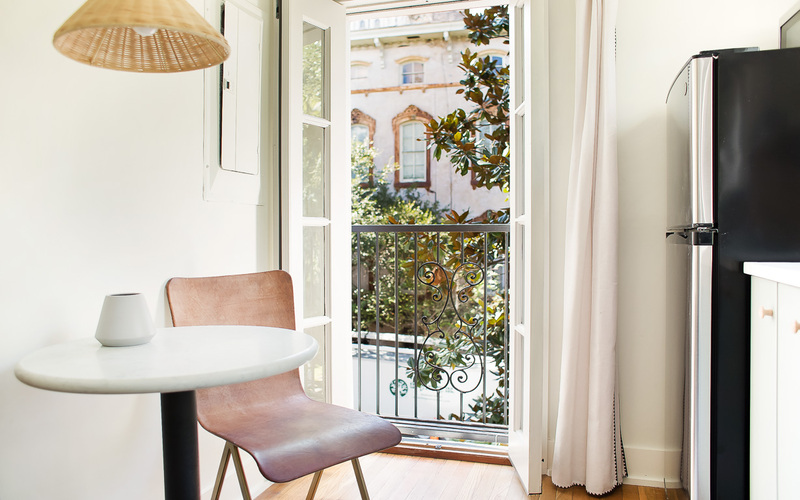 On moderate days, enjoy a breeze by opening the French doors that lead to the balcony. 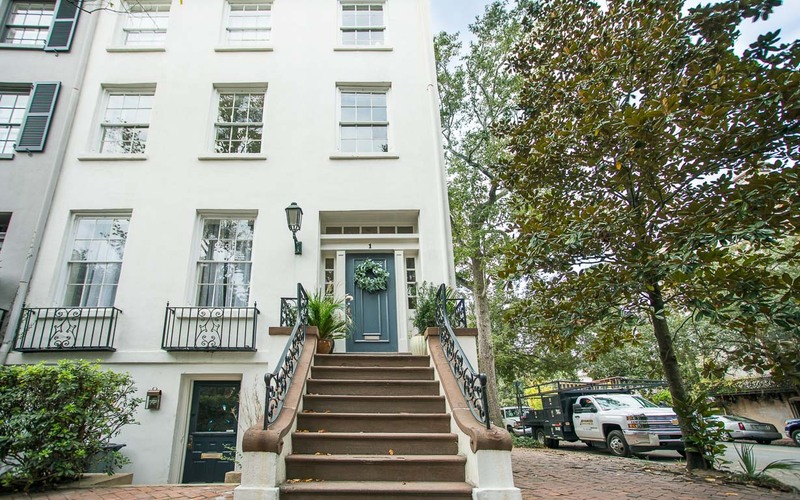 Just a stone's throw away from the Fountain at Forsyth Park, this gorgeous studio apartment is also a short walk from other Savannah attractions, such as: Mrs. Wilkes Dining Room, shopSCAD, and Alex Raskin Antiques. Head North towards the river for a romantic promenade through the squares. Be sure to stop at our favorite local spots along the way, including: Adam Turoni Chocolates, Collins Quarter, and The Paris Market. 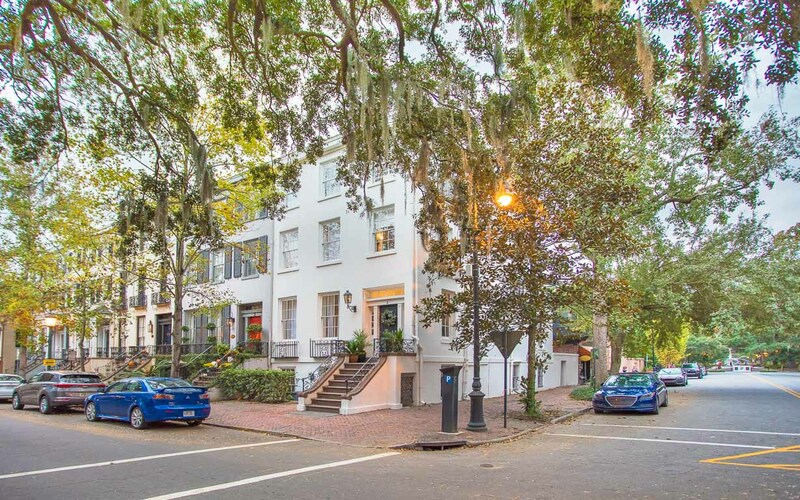 Parking for this home is on-street and metered, which is enforced by the City of Savannah from Monday to Friday, 8am to 5pm. 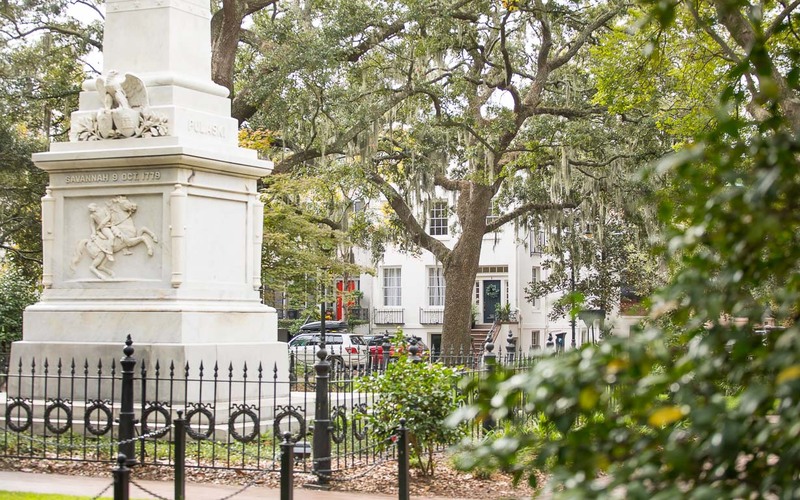 Guests are encouraged to either purchase a pre-paid parking pass from the Savannah Visitor Center, or park on a nearby non-metered street. Guests should be wary of the posted Sweep Zone signs. Lovely stay at the Park House! Wonderful location and incredibly nice property management. Highly recommend. Amber, thank you allowing Lucky Savannah to host you! We are so glad you enjoyed your time in the Park House and the service from our local team! We would love to host you again! 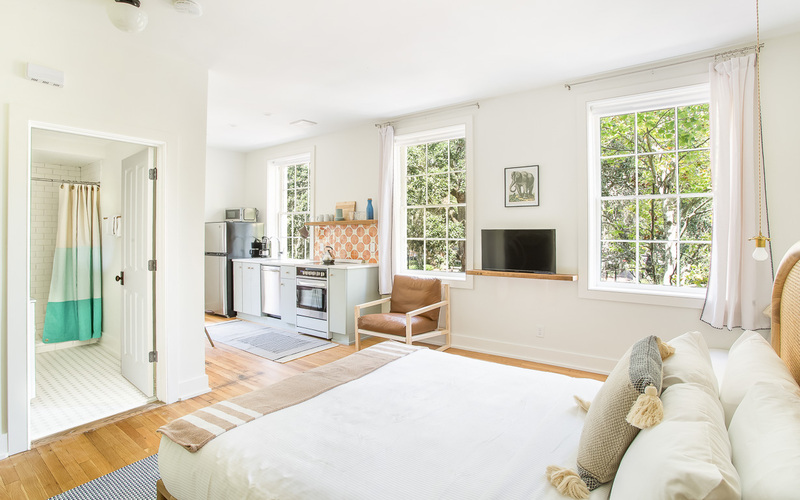 Enjoyed my stay in 2A - loved the modern, upgraded unit in a charming house right on the square! Perfect location for any and all exploring - could walk anywhere. Amy, we are so glad you chose the Park House as your destination and we hope to see you again soon!